Its no secret that I love books. My room’s bookshelves are overflowing with books of all sizes, art books, trade paper backs, hardbound novels… (note to self: buy more shelf space). Unfortunately Melbourne doesn’t really have huge speciality stores dedicated to books, unlike Fully Booked in the Philippines. 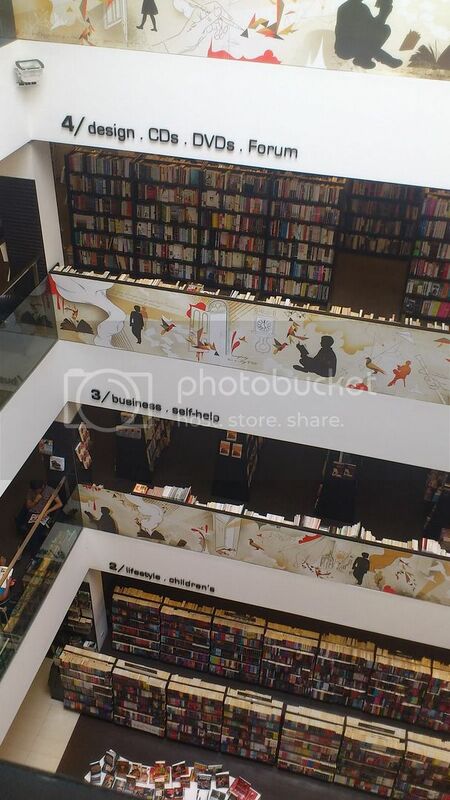 The flagship store of Fully Booked, at Bonifacio High Street at the Fort (no, I do not know why they call it that), is 5 floors of Book Awesome sauce. LOOK AT ALL THE BOOKS. This might be close to a bibliophile’s heaven might be. To hurpaderp is my real test, derping is my cause. All these derps to hurrhurrderp, the power thats inside!